BRYAN EATON/Staff Photo. 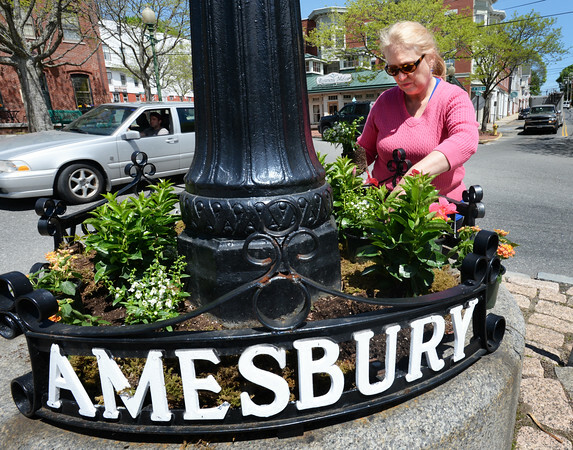 Lisa Ridabock puts in plants at the rotary in Amesbury's Market Square commenting it's about time spring arrived. She works for Greenery Designs which donate seasonal plantings in the downtown four times a year.